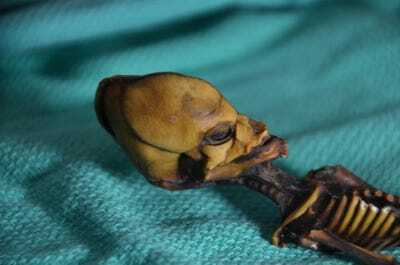 A six-inch long skeleton with human features found in Chile’s Atacama desert was rumoured to be an alien for almost two decades. 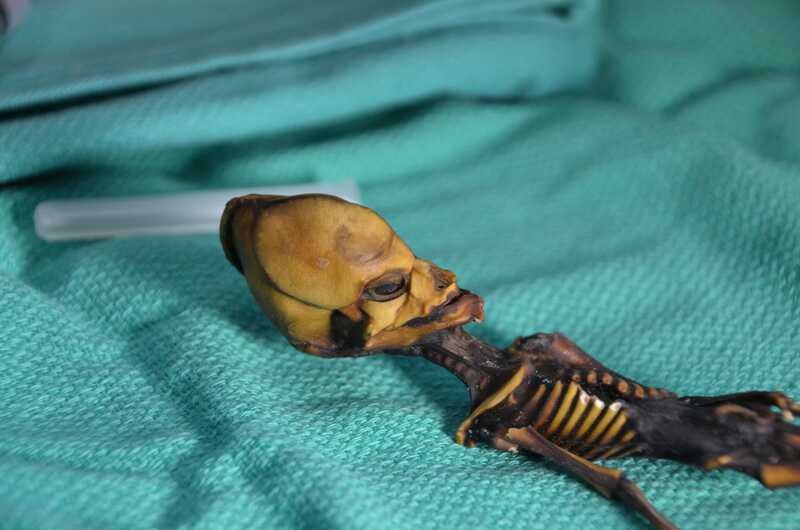 In a new paper, researchers found that the skeleton – Ata – was in fact not an alien, but a human who had suffered from a range of mysterious genetic mutations. Ata’s disorder is completely unknown to scientists. Almost two decades ago, an amateur collector found something astonishing in the Atacama desert in Northern Chile: A 15cm-long tall, humanoid skeleton. While the skeleton did have human features, it also had some peculiarities, like a long, pointy skull, large eye sockets, and ten ribs instead of 12. Over the intervening years, the skeleton, dubbed Ata, became the subject of rumours and rampant speculation, with some suggesting that it could be a form of extraterrestrial life. Now scientists think they have figured out the mystery behind the skeleton – and it has more to do with genetics than aliens. A team of scientists at Stanford and the University of California, San Francisco analysed the skeleton’s DNA and found that Ata was, in fact a human female, and that she was closely related to the local population. After reconstructing Ata’s genome, they found that she probably lived less than 500 years ago – likely in the 16th century – and that she also shared some European ancestry, meaning she was alive well after South America was colonised. Courtesy of Emery SmithAta likely suffered from a litany of genetic mutations, though researchers couldn’t point to a known disorder. Here’s where things get strange. In a new paper in the journal Genome Research, the scientists, led by Sanchita Bhattacharya, Garry Nolan, and Atul Butte, found that Ata’s bones were as developed as a six-year-old’s, even though she was about the same size as a foetus. Ata, the scientists found, suffered from a litany of genetic mutations – but they couldn’t point to one specific disorder. Many of Ata’s specific mutations were also completely unknown to the scientists, leading them to believe that Ata was likely stillborn, though her bone structure was well-developed in other areas. The researchers identified 54 mutations in Ata that could affect her skeletal structure. These mutations have been linked to bone disorders like skeletal dysplasia, rib anomalies, and dwarfism. “I was amazed by how much you can tell from the genetic blueprint,” Bhattacharya told The New York Times. While more research is needed to figure out the causes of Ata’s deformities, it’s possible that stillborn babies in the modern era suffer from similar conditions.